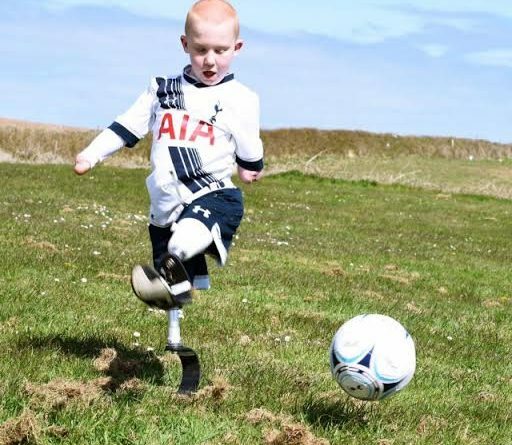 A boy “embarrassed” about his new prosthetic legs – is set to achieve his dream when he strides out with his heroes Spurs FC – after a Facebook photo of him playing footie in his Spurs kit went viral. 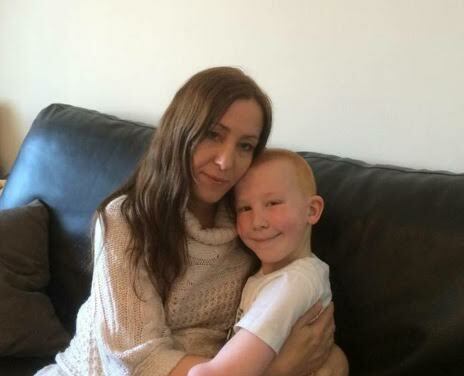 Marshall Janson, 8, from Perranporth, Cornwall, who had his hands and legs amputated as a baby after suffering meningitis – normally wears running blades to dash round the football pitch at school as a goalkeeper. Marshall, a huge Spurs fan, was far from happy with his new artificial limbs and “was afraid the other children would laugh at him,” Stephanie said. 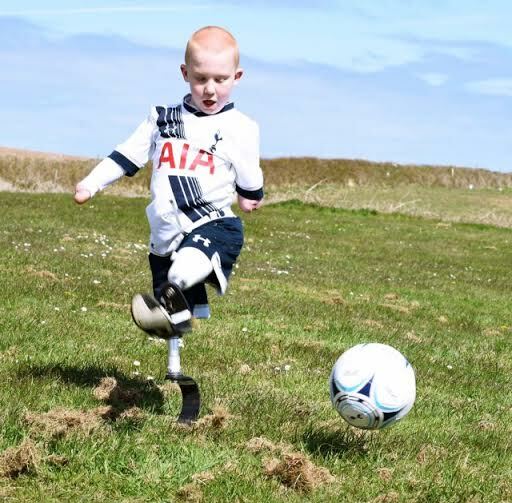 The post was shared 16,000 times and now Marshall has been invited to play a game with his Spurs heroes on May 12 at White Hart Lane. Stephanie, 36, said: “Marshall was afraid people would laugh at him. The Facebook post went crazy. It was shared 16,000 times. “Marshall is football crazy and he loves Spurs. They saw the post and rang me up to invite him to play with the team. “It’s been brilliant for him. It’s given him a lot of confidence. He didn’t like his new prosthetic legs because he has been so used to wearing blades for years and he runs around the football pitch in school in them. “But this has really helped Marshall like his new legs. He has always felt just like every other boy and we didn’t want that to change so thanks to everyone who shared this post and helped Marshall meet Spurs. Even after the amputations – a “horrific” memory for the mother to relive – Stephanie said the-then baby Marshall, still smiled when he woke up. Just after Christmas in 2008, the mother found a “small bruise” type rash on her son’s forehead and then within hours he was “floppy”. She and husband Moss Janson, took Marshall to hospital, where they were told he was suffering Meningitis. Within days doctors amputated the child’s hands and legs. He had been on life-support and the family feared Marshall would be brain-damaged but it was only physical injury he suffered. “We said we can fix limbs but we can’t fix if anything happened to our son’s brain,” Stephanie, who is currently pregnant with twins, said. The family set up the www.Handstand.org.uk appeal where people can donate money towards Marshall’s prosthetic legs in future. Annually he needs a new pair – and they cost up to £12,000. He will need regular changes each year until he stops growing at around the age of 18. “Marshall always wore running blades and he is confident in them. He got the new ones with Tottenham’s logo on but still he wasn’t very confident in them,” Stephanie said. The new prosthetics have feet and knees attached – and are very different to what the schoolboy is accustomed to. “He lives to pay football. But from a physio point of view it will be nice for him to be able to walk and bend his legs. The blades can get stuck under his desk at school and he is running from his hips in the blades. “Nothing phases Marshall. He always has a smile on his face. 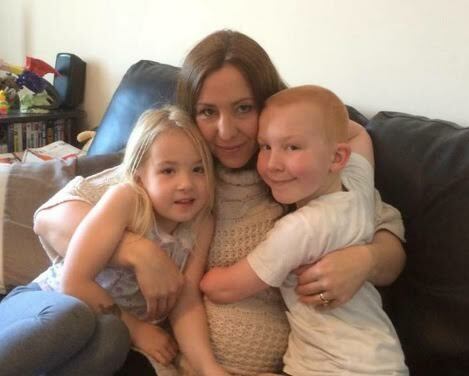 He has been through so much and he will have to have operations for the rest of his life – but he is the most easy going kid – and he must make people feel they should never feel sorry for themselves. 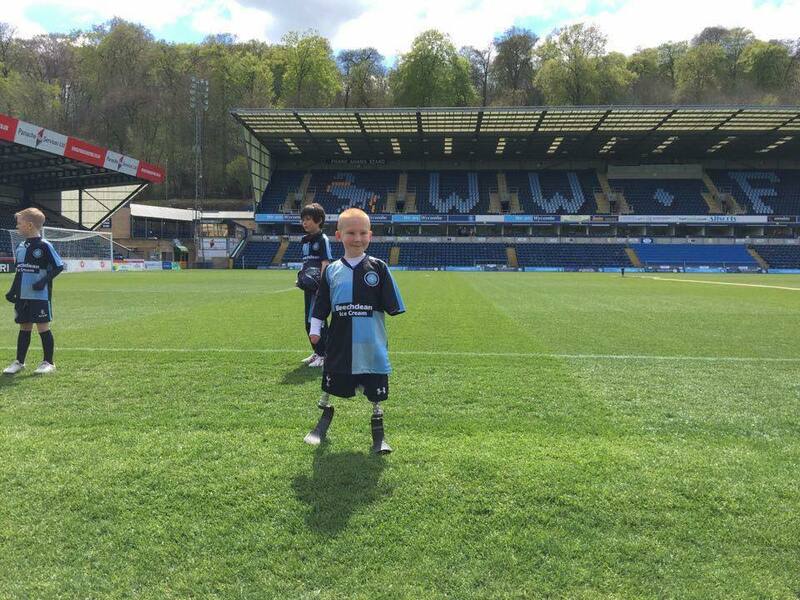 On Saturday Marshall was invited to become Wycombe Wanderers FC’s Mascot. A video posted on Facebook shows him playing kick-about before the match. 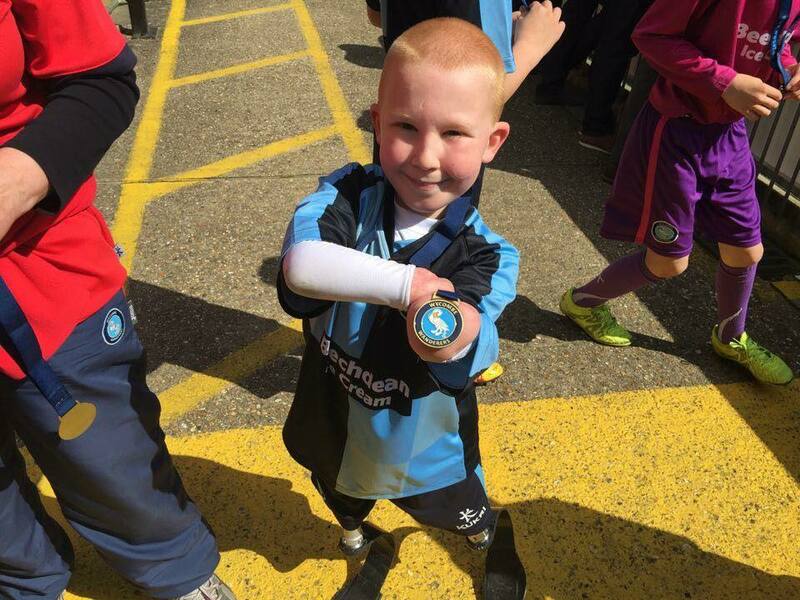 “He had never been on to a pitch, or carried a match ball out,” Stephanie said. “His little face lit up – we were so proud. “The players were amazing. Even now he tells me ‘Mum, I can do it,’ whatever challenge he faces. “People don’t realise how much he can do. He wants to be a goalie for Spurs when he grows up and he tells me he wants to be in the Olympics. If you would like to make a donation towards Marshall’s next pair of prosthetic legs, contributions can be made to The Appeal for Marshall Janson, PO Box 39, Perranporth, Cornwall, TR6 0WP, or to any branch of Lloyds TSB to account number: 01782765. Sort code: 30 97 00.